«We need legal certainty to allow this technology to develop» MEP Eva Kaili, the author of the Blockchain resolution recently passed by the EU Parliament, explained during the presentation of the book “Crypto-Revelation, Why there is no turning back from Blockchain and digital currencies” (published by Paesi Edizioni), written by Andrea and Massimo Tortorella, during a conference at the European Parliament in Brussels, on the 10th October. 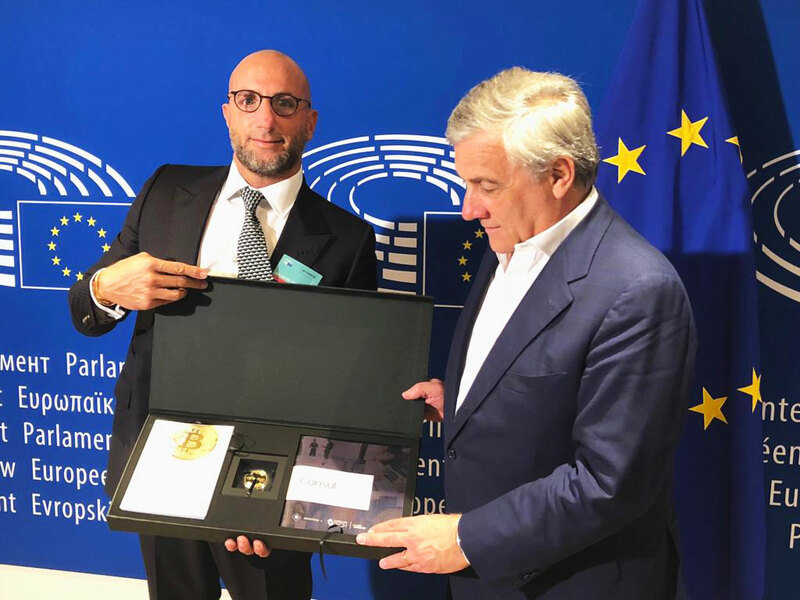 These two entrepreneurs, respectively CEO of Consulcesi Tech and President of Consulcesi Group, have also met Antonio Tajani, President of the European Parliament, to bring to the attention of the main EU institutions that the Italy could become the leader of this new digital paradigm. However, further delays could jeopardise the EU’s ability to become the global leading Blockchain hub. «In Europe we have waited too long, now we have to recover in time to become the first in the world», MEP Andreas Schwab, member of the Committee on the Internal Market and Consumer Protection and speaker to the presentation of “Crypto-Revelation”, he underlined. “We are delighted with the reassurance that we have received from the most important stakeholders on the need for the fintech and Blockchain regulation. Europe can and must express itself and “regulation” is the keyword» Massimo Tortorella, President of Consulcesi Group, said. «For some years now Blockchain has came into our economy – Andrea Tortorella, CEO of Consulcesi Tech, concluded – and it needs regulated rules and instruments. For example, Conculcesi Tech has favored the first European regulated fund». Recently, in fact, the Malta Financial Security Authority has released the license for ConsulCoin Cryptocurrency Fund. The first regulated investment fund in Europe dedicated to cryptocurrencies and Blockchain technology was in fact created thanks to Magiston Sicav Plc and Consulcesi Tech, a high-tech company that operates in the Blockchain and Cybersecurity fields, founded as a spin-off of Consulcesi Group, a European firm dedicated to healthcare professionals, with decades of experience in technological, financial, legal and insurance services.